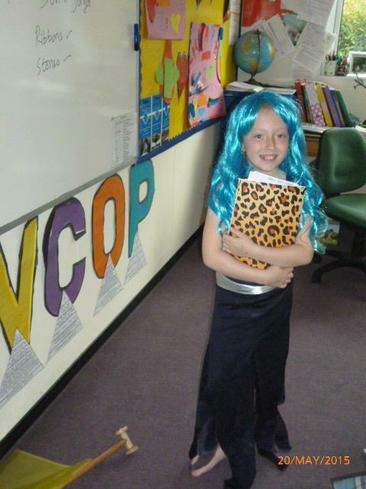 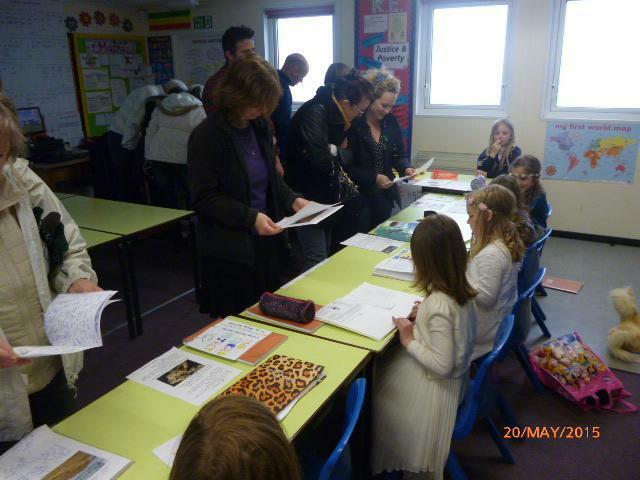 Thank you to all parents and carers for your support with homework, reading, spellings, trips, etc, etc, this year! 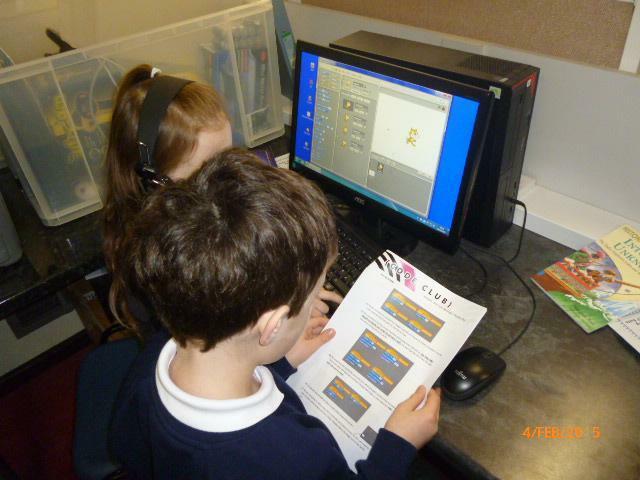 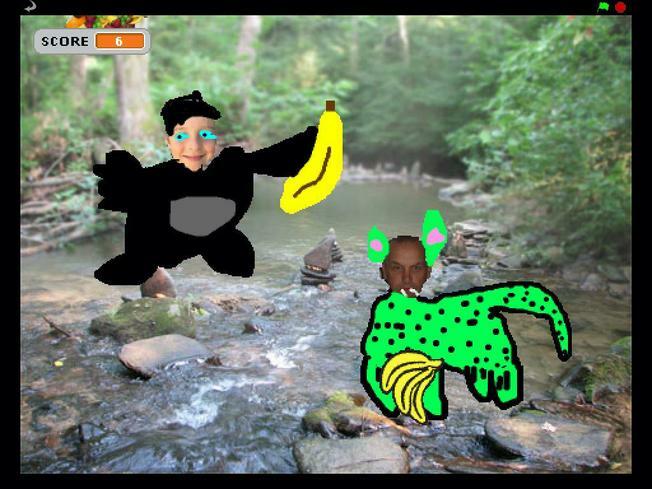 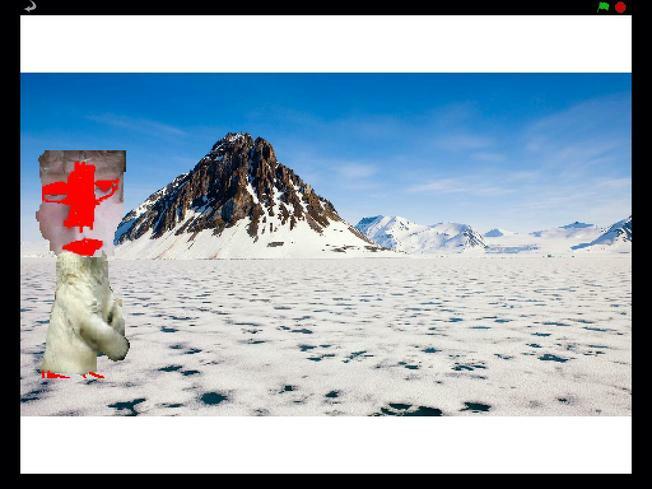 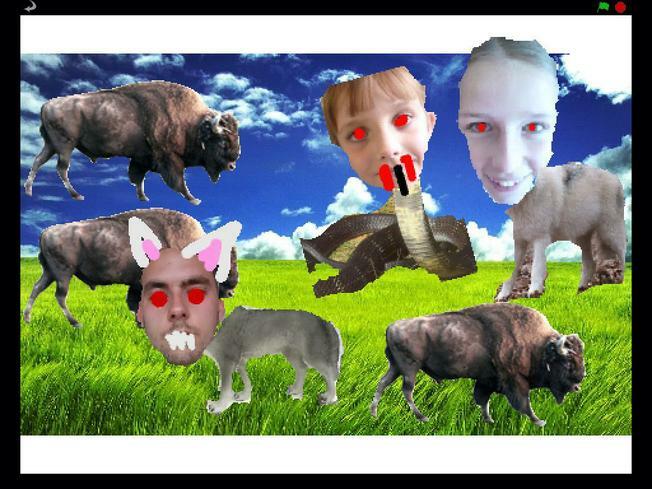 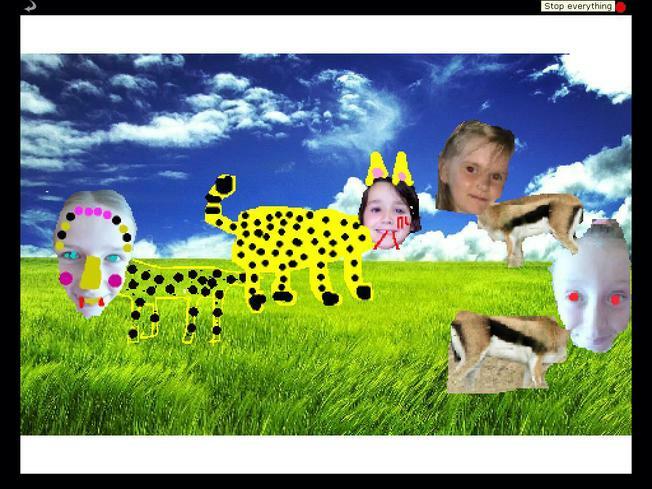 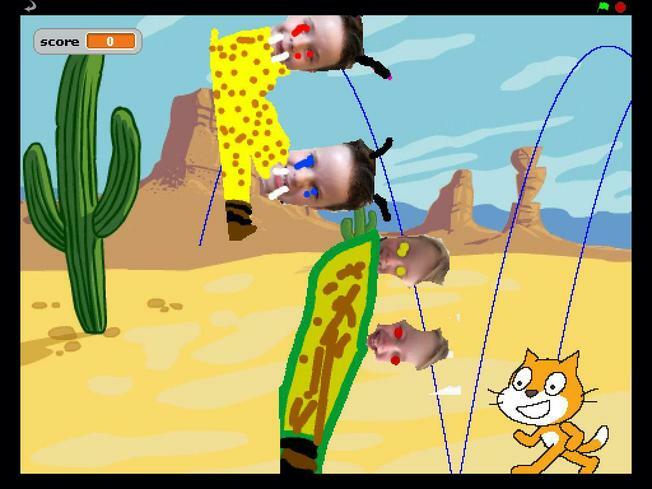 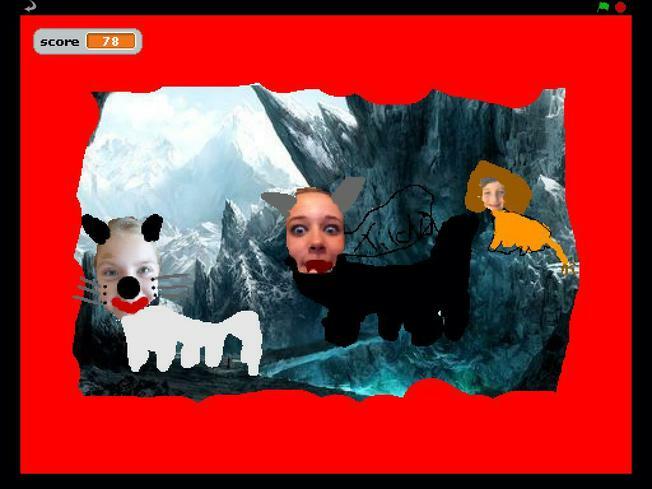 As the finale to our Predators topic, we made predators using images of our friends and family members' heads, placed them in their habitat and gave them some prey to eat in a Scratch game that we programmed. 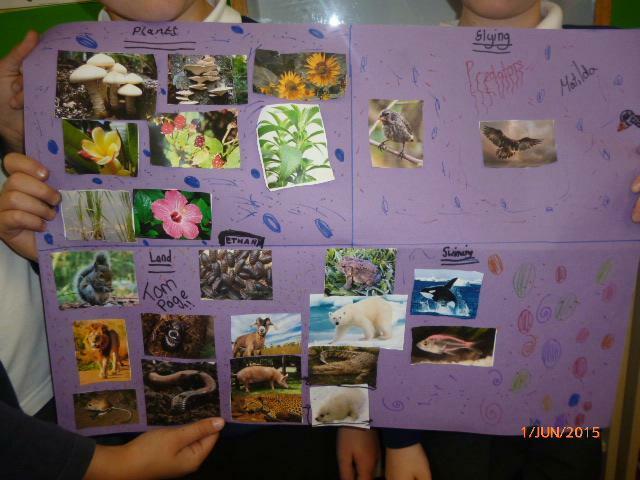 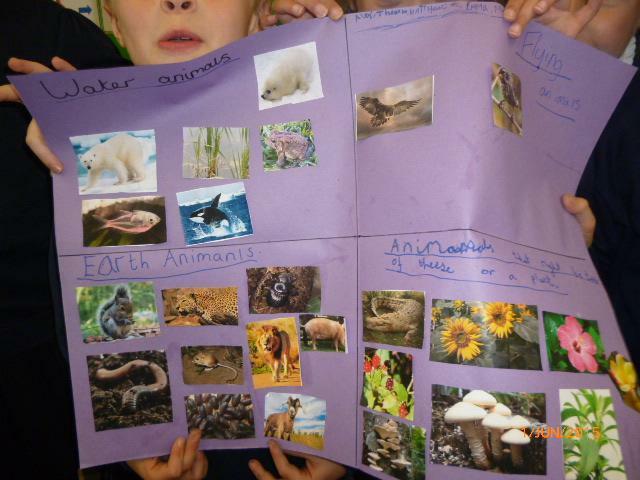 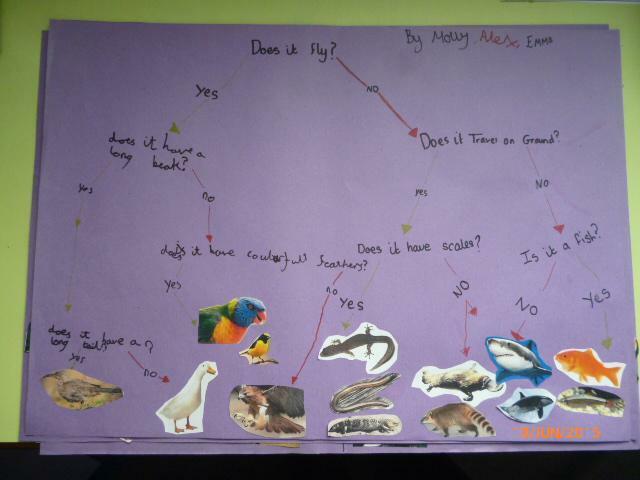 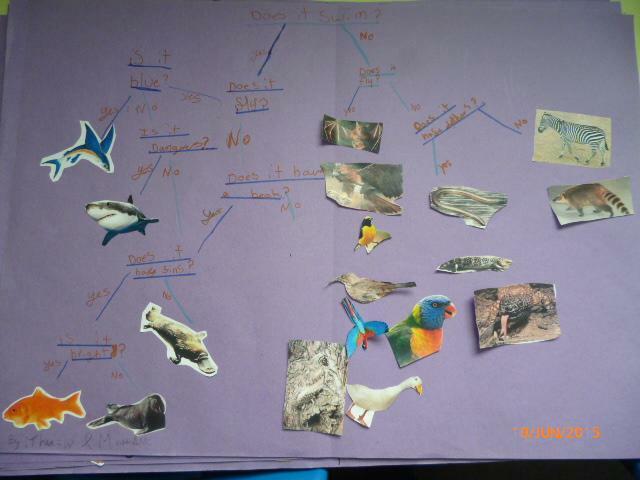 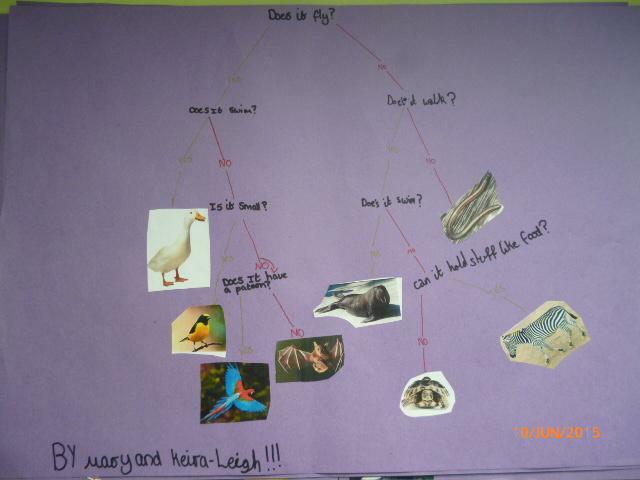 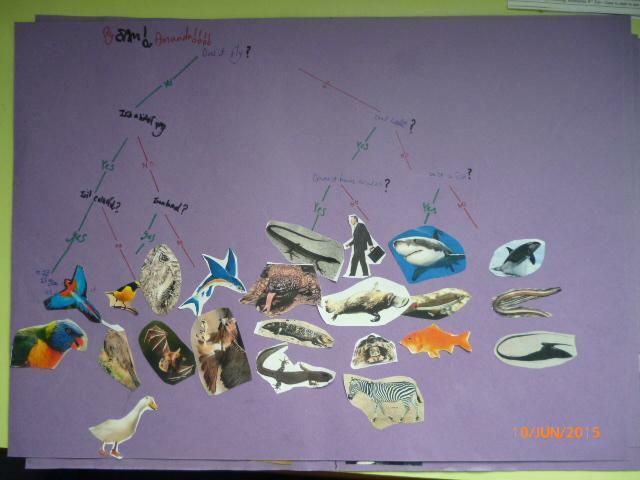 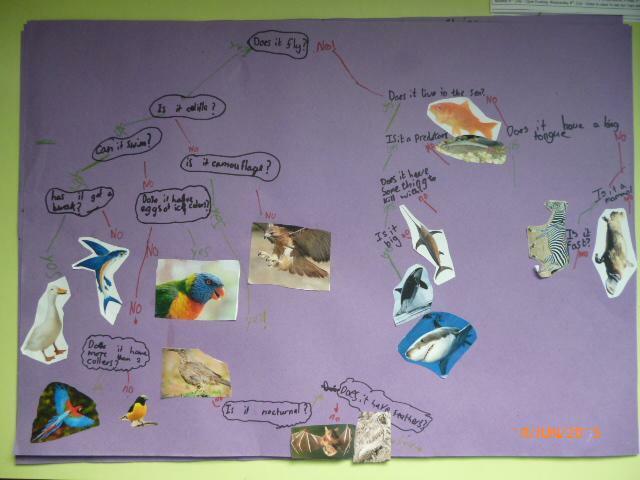 We made posters and branching databases to show how scientists classify living things in different ways. 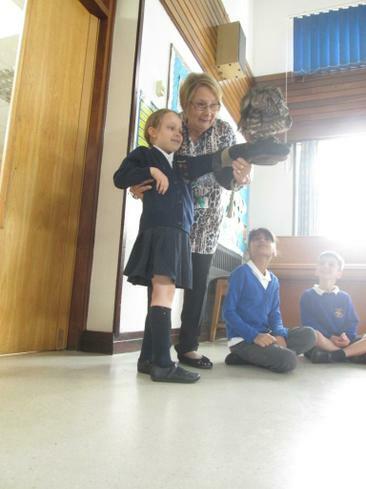 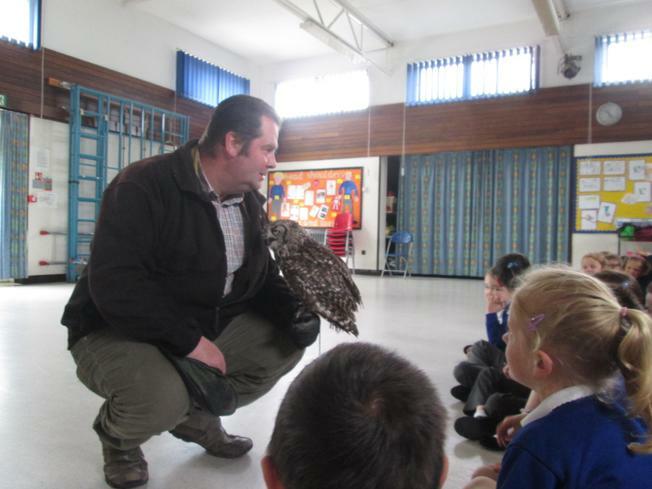 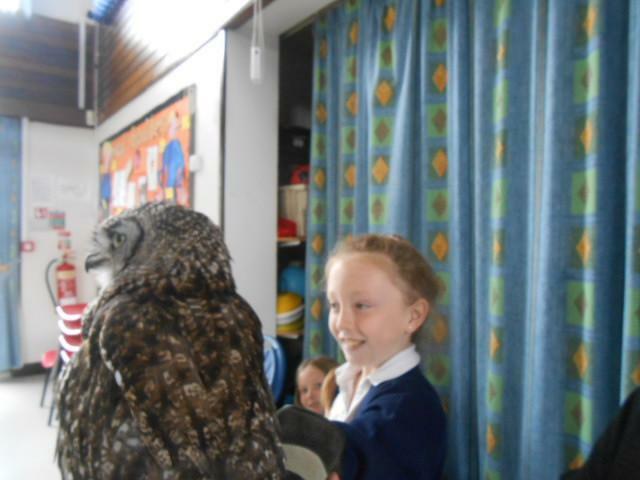 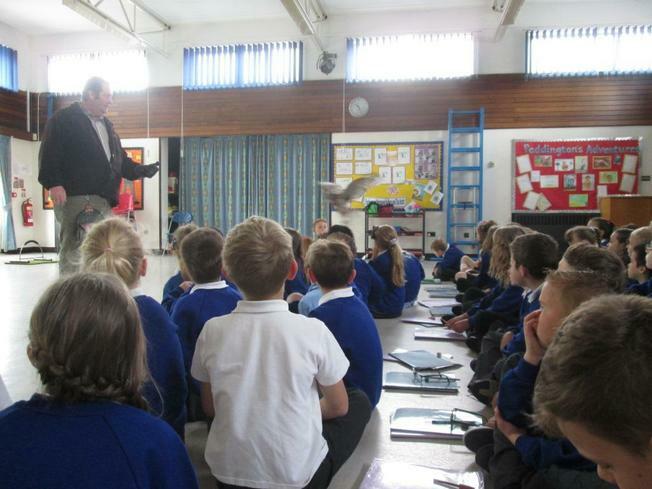 We were very lucky to begin our new topic by meeting four owls brought by Mr Morley, an experienced handler. 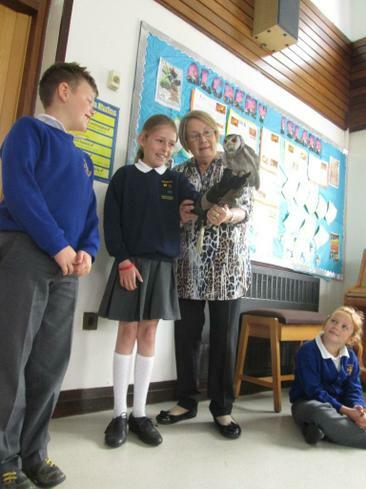 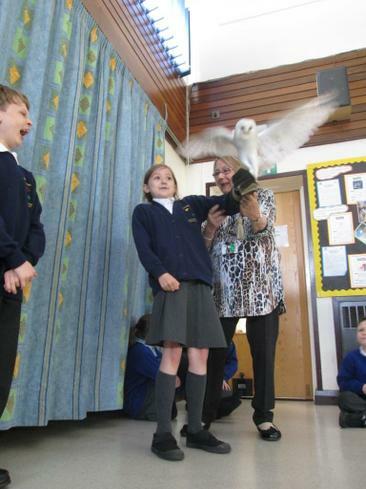 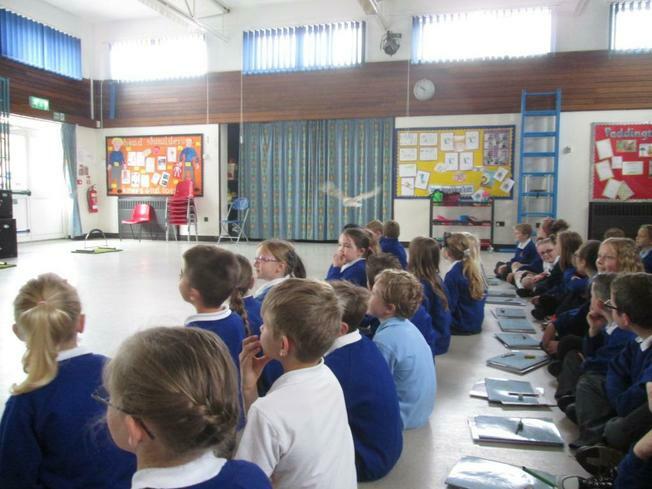 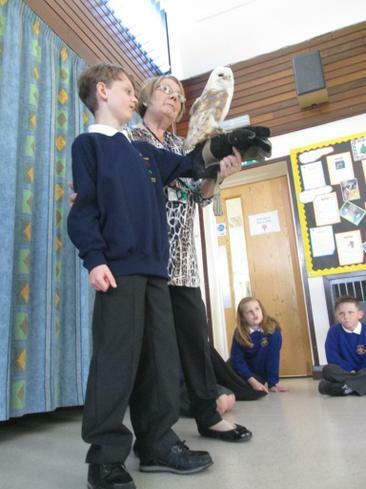 Gizmo, Archie, Milligan and Ronnie delighted pupils and adults alike and we all learnt so much about these birds. 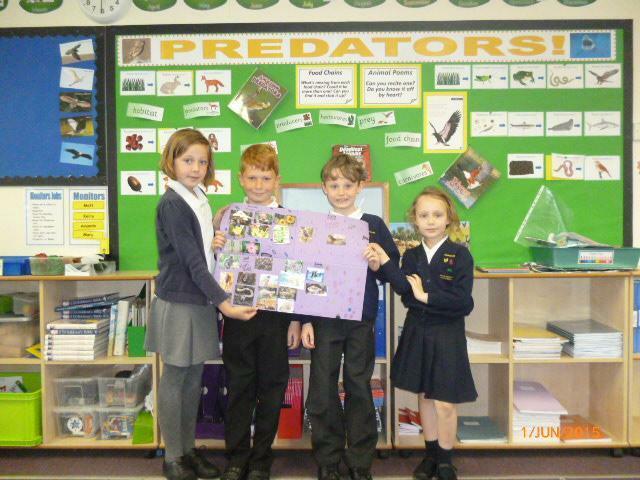 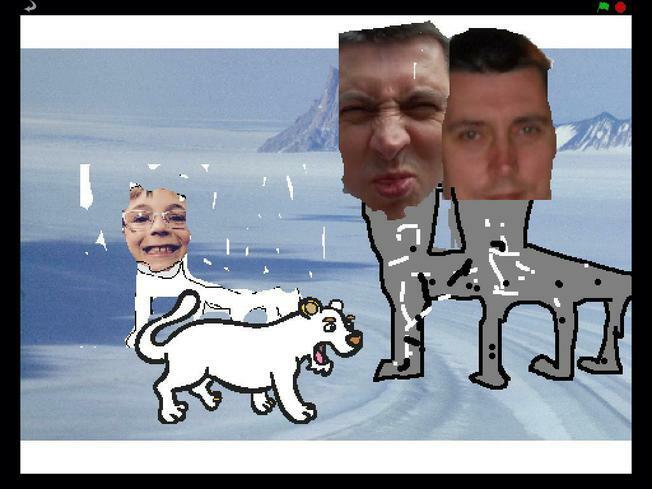 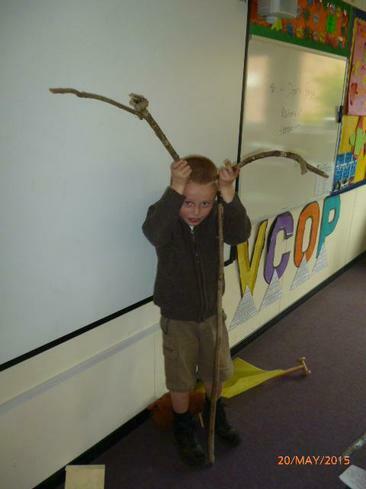 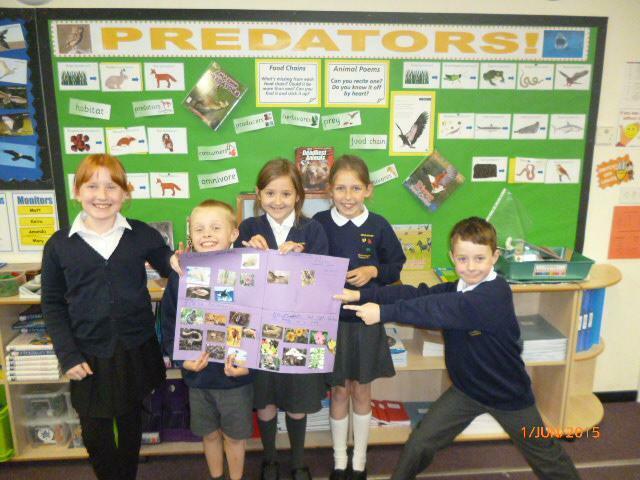 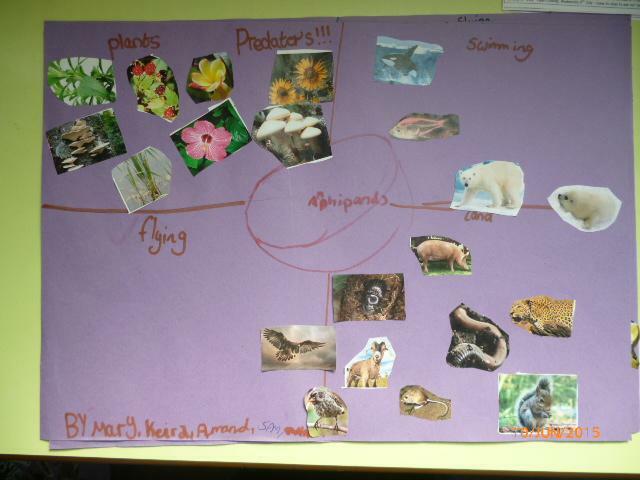 A great start to our Predators topic this term. 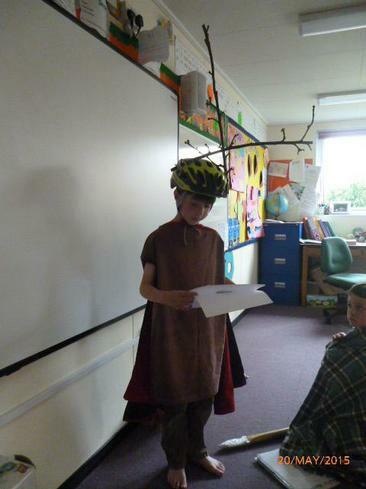 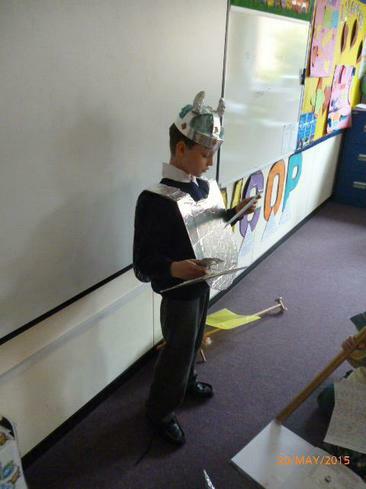 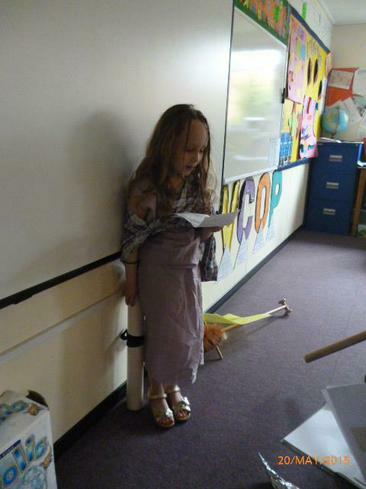 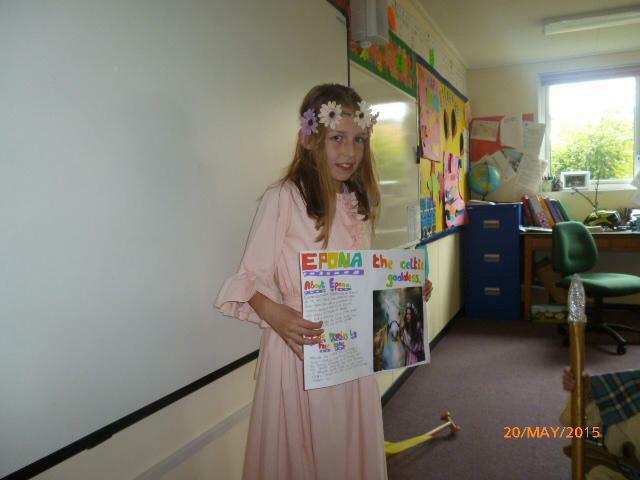 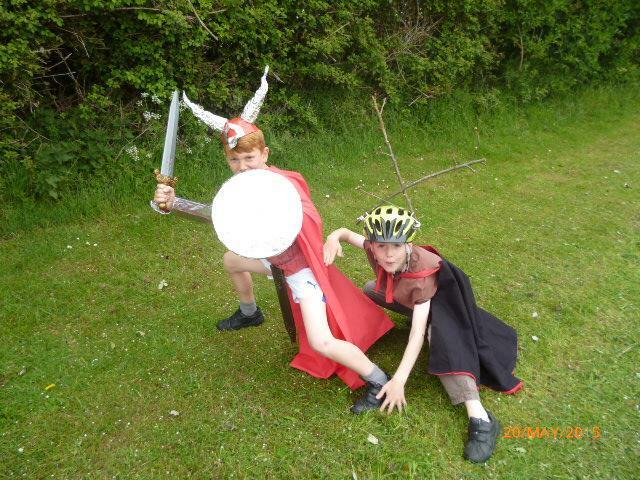 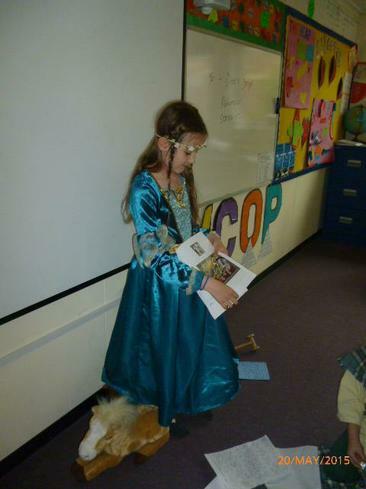 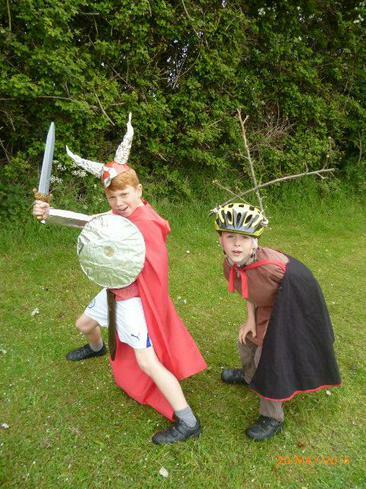 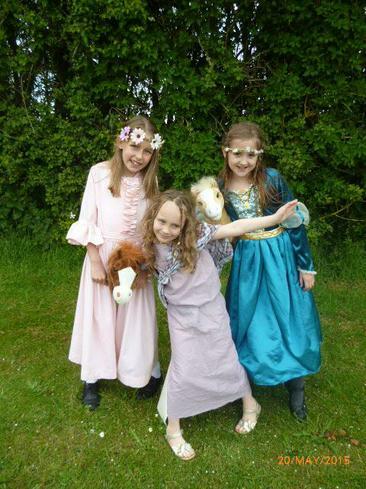 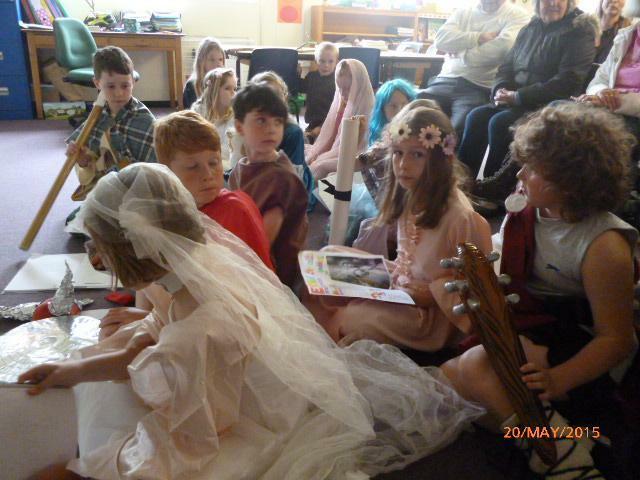 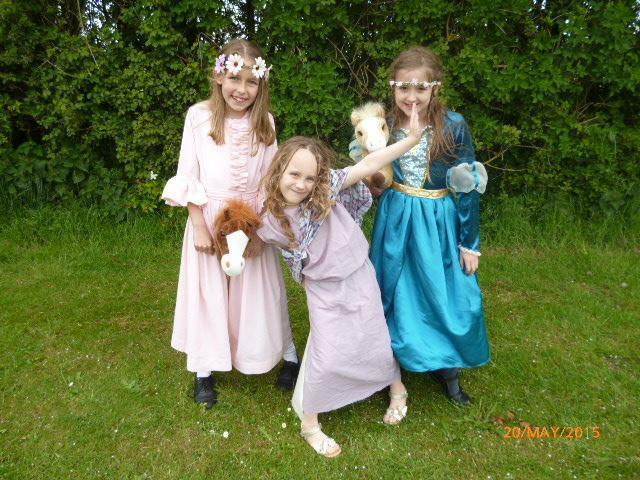 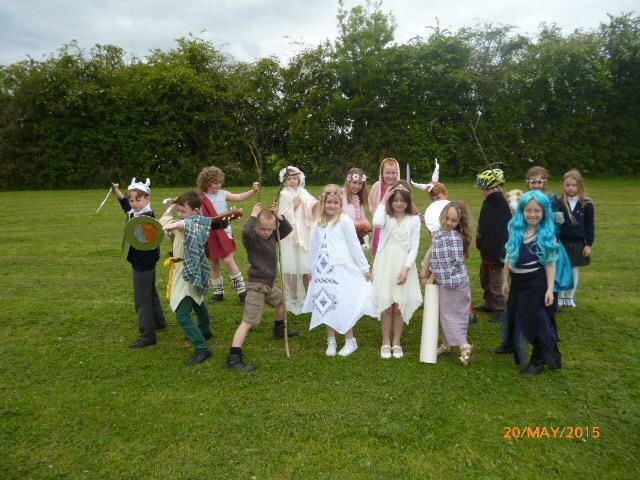 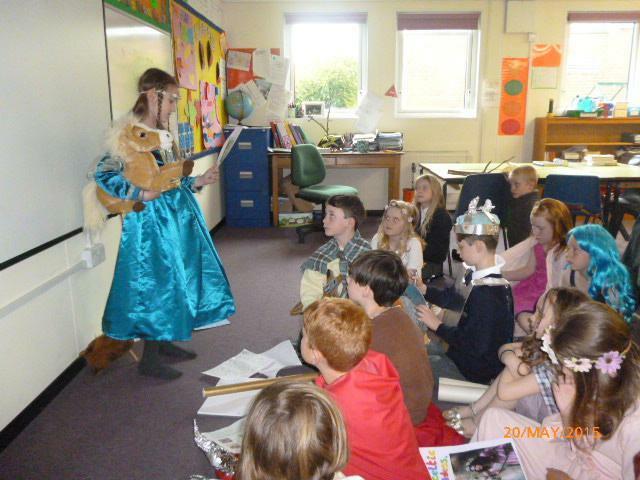 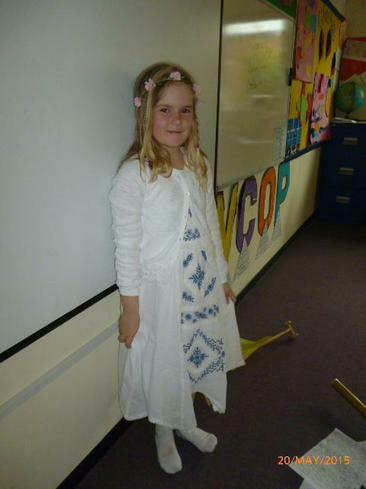 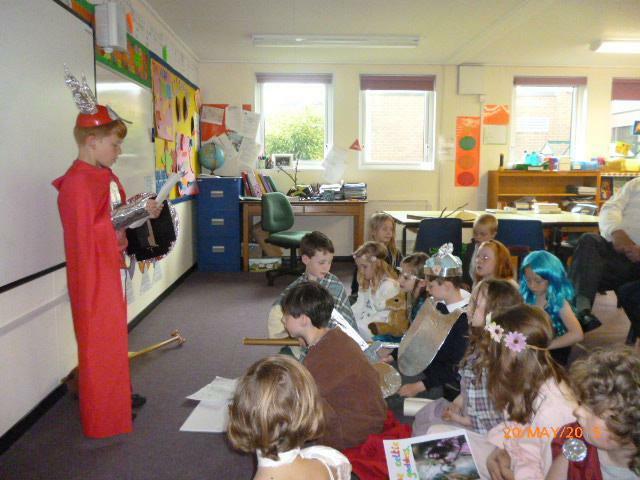 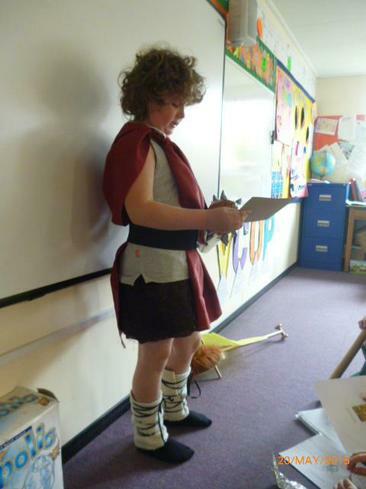 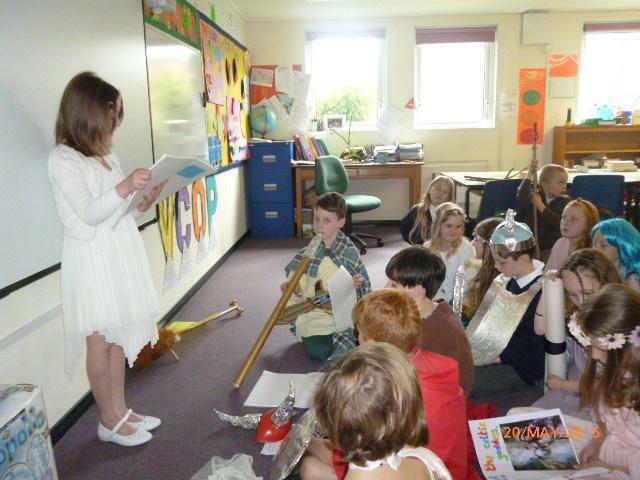 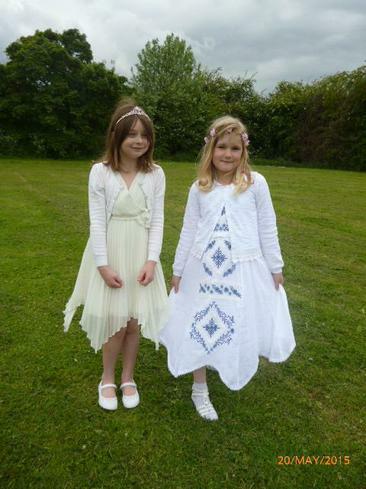 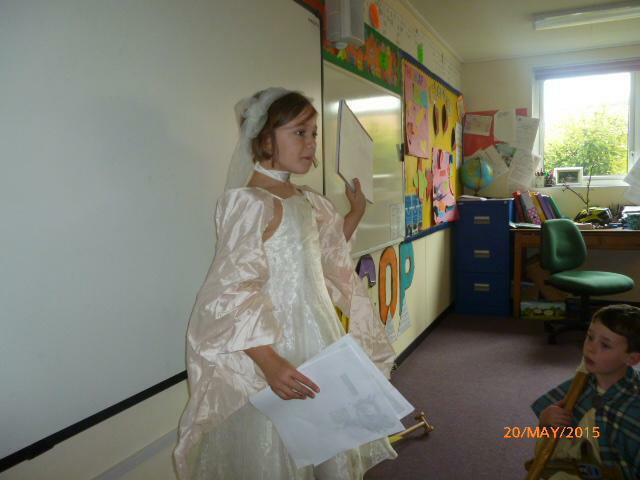 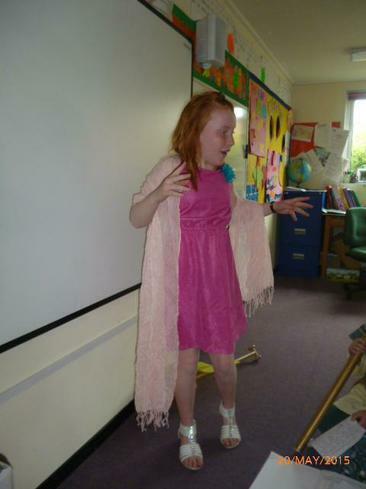 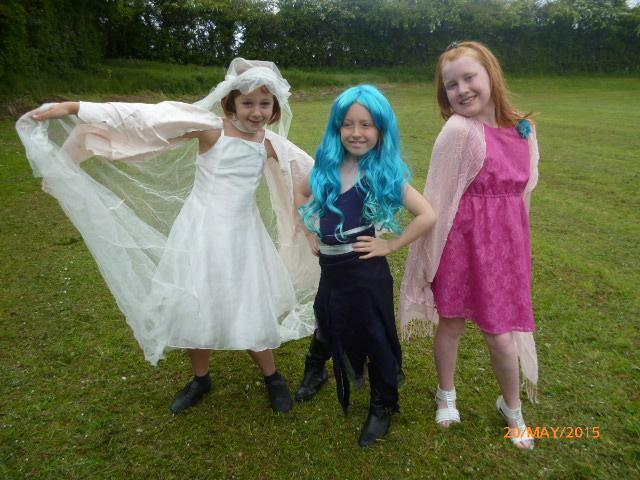 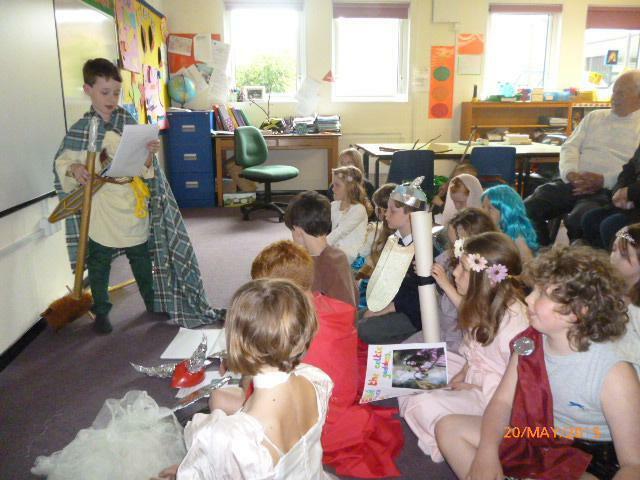 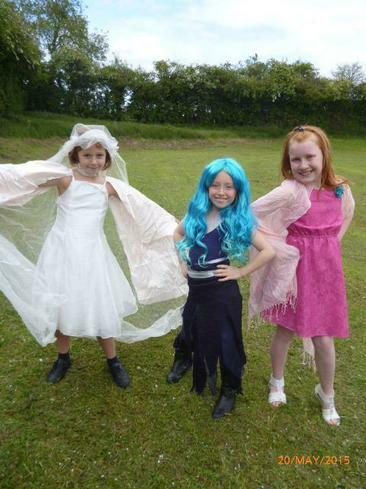 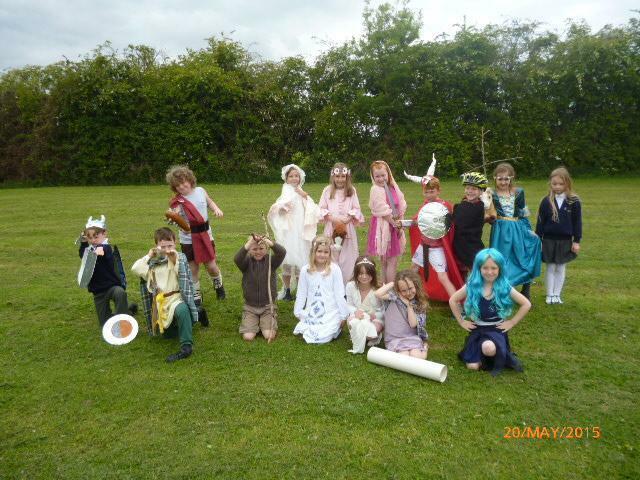 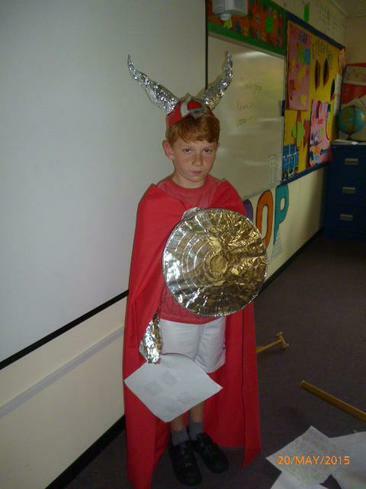 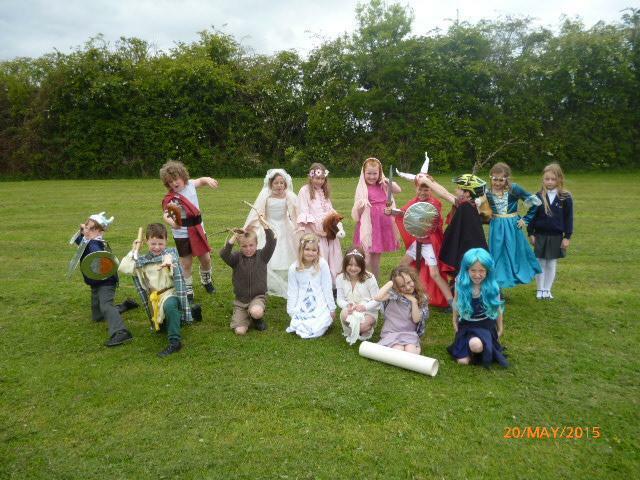 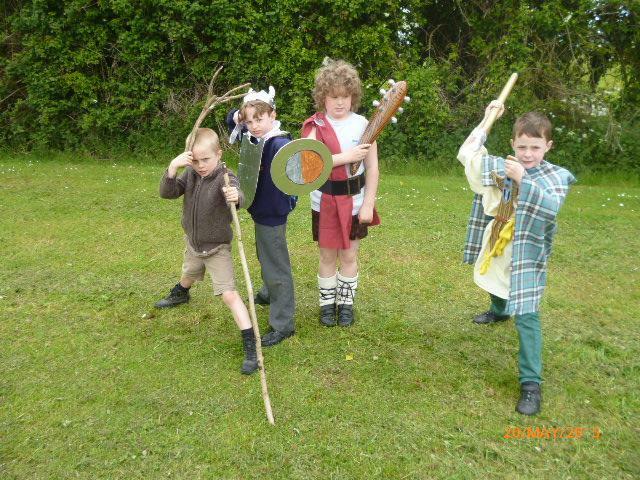 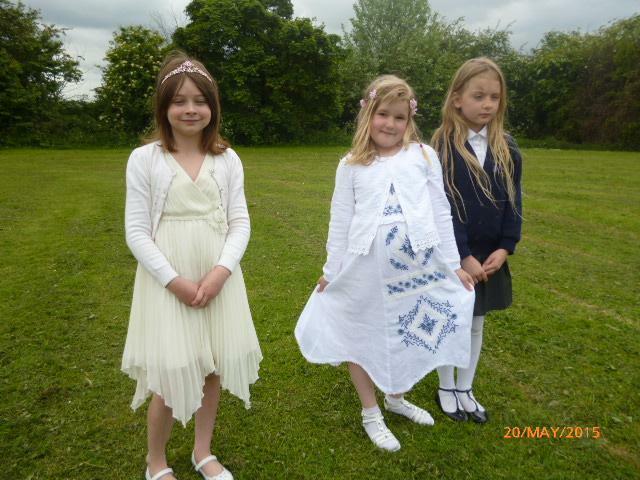 We dressed up as Celtic Gods, Goddesses, Kings, Queens and warriors. 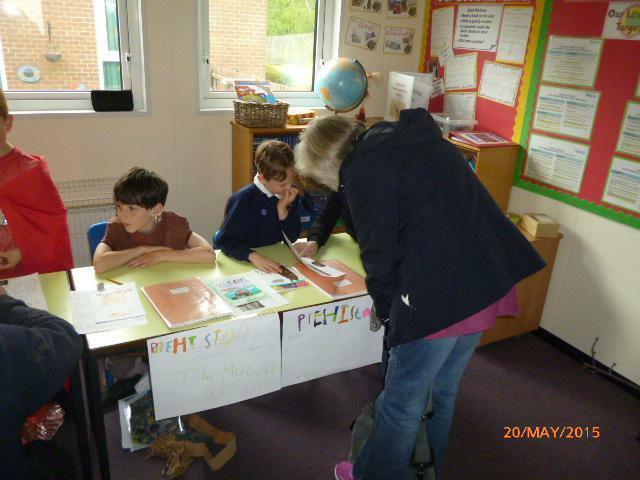 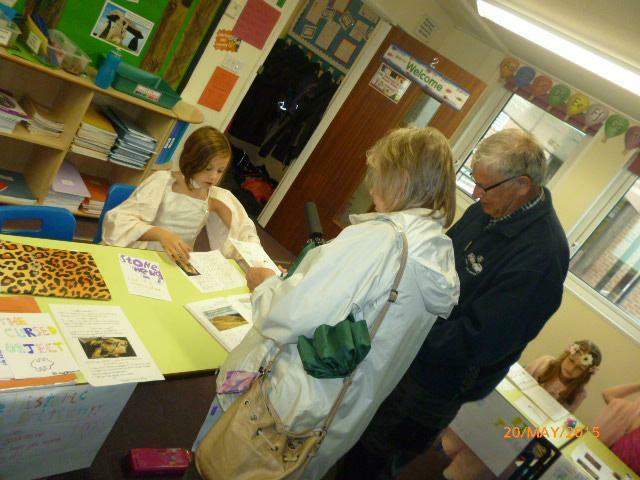 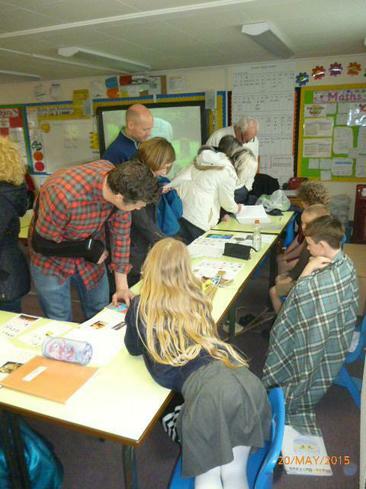 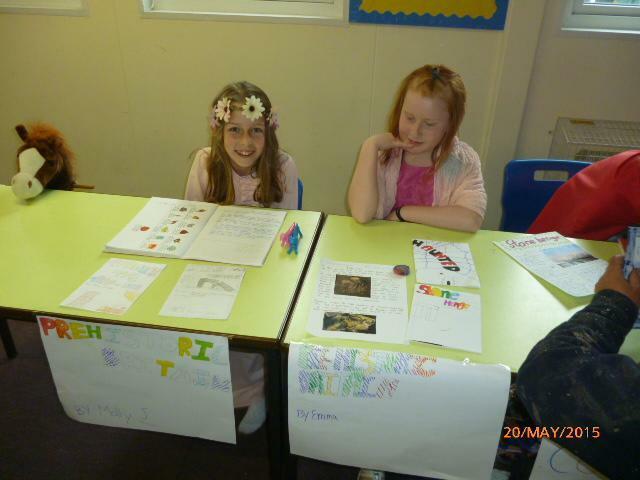 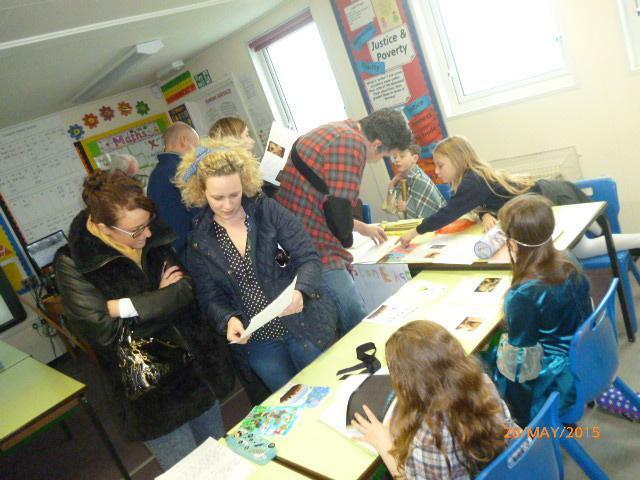 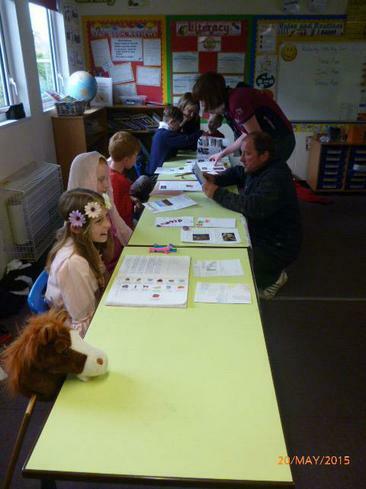 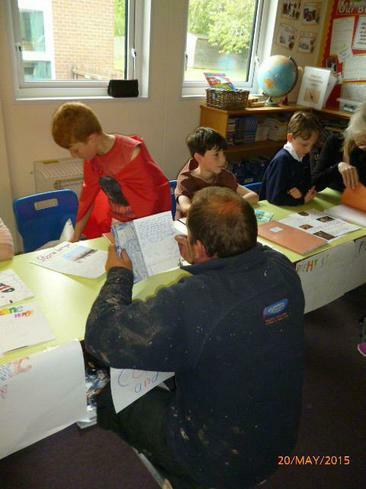 Our parents and carers came to school to watch our presentations and look at all of the work we have been doing on Prehistoric Britain. 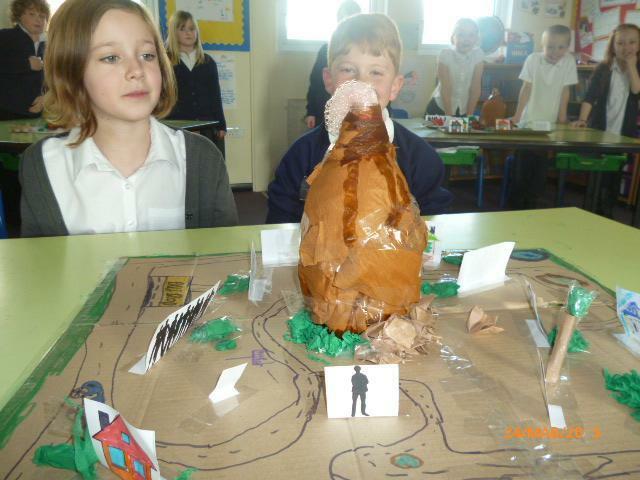 TREMORS! 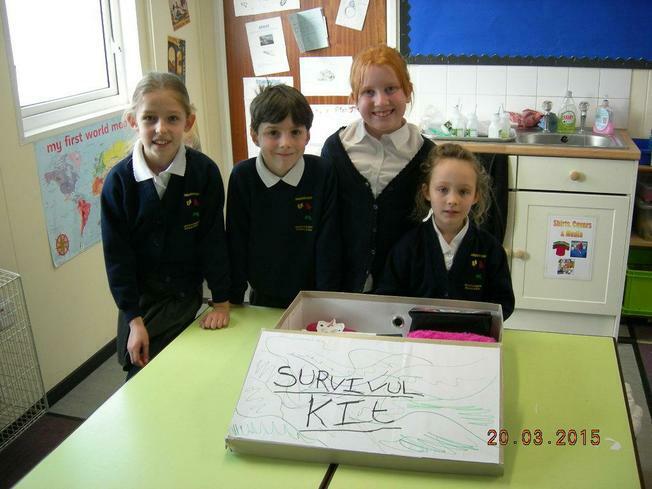 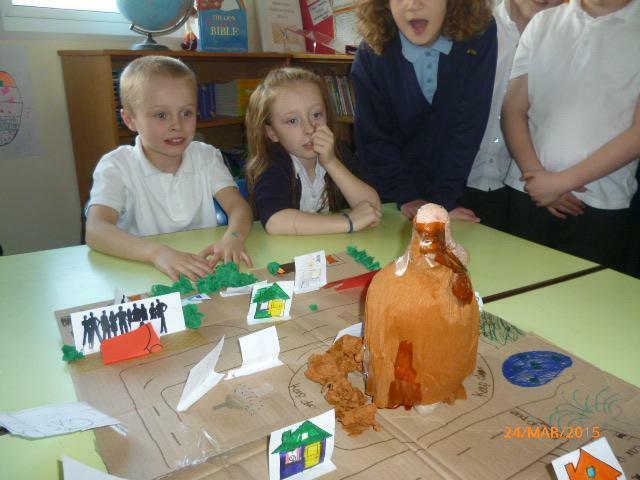 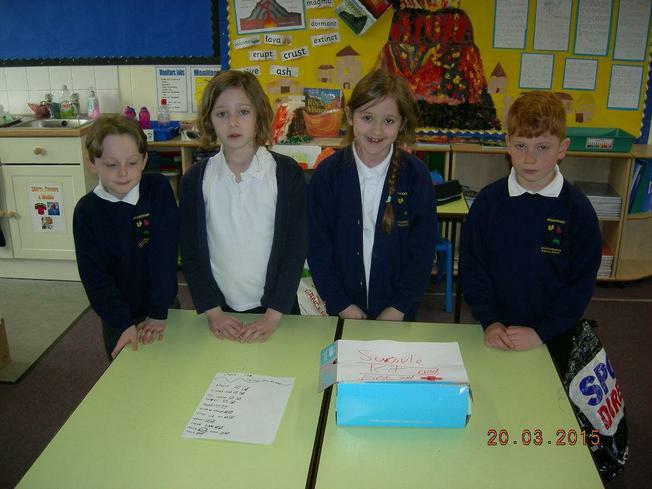 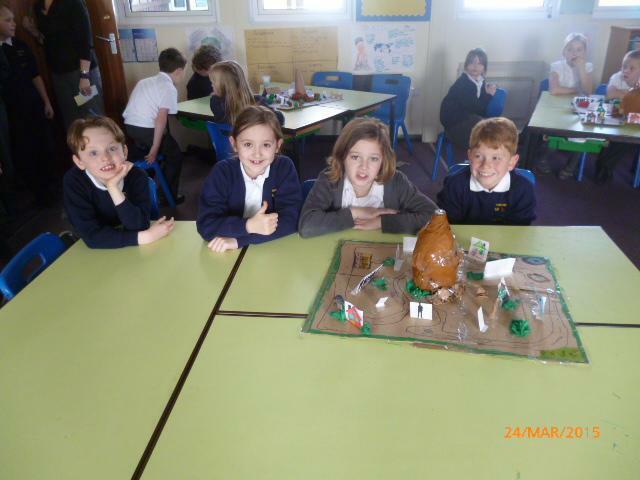 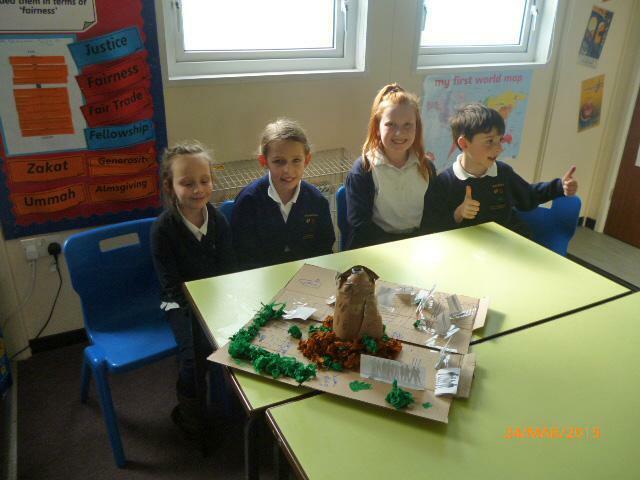 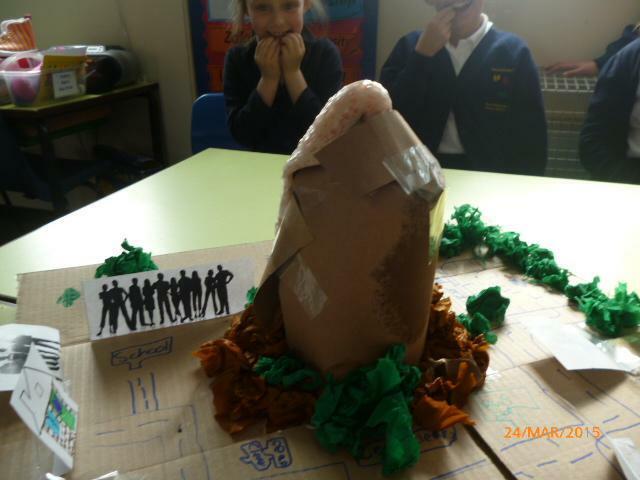 As the finale to our topic on volcanoes, we made volcano shelters and survival kits. 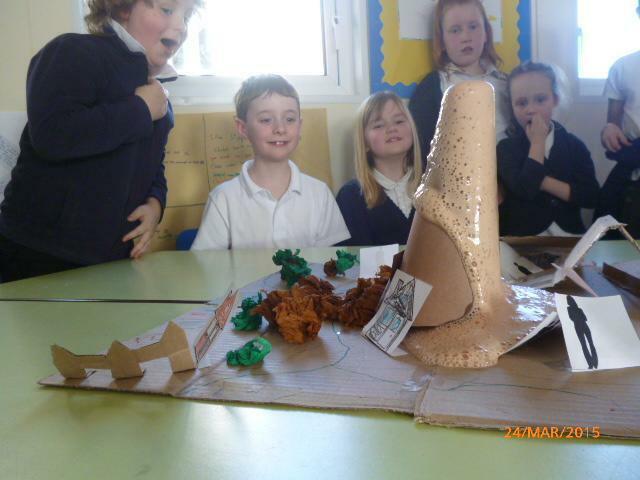 Then the siren went off and the volcano erupted! 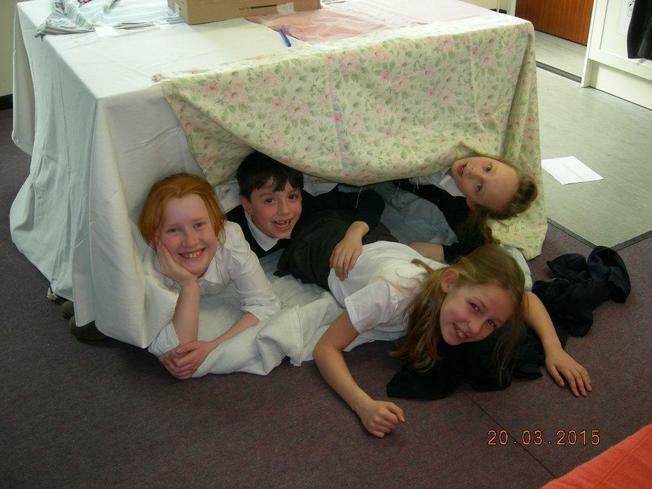 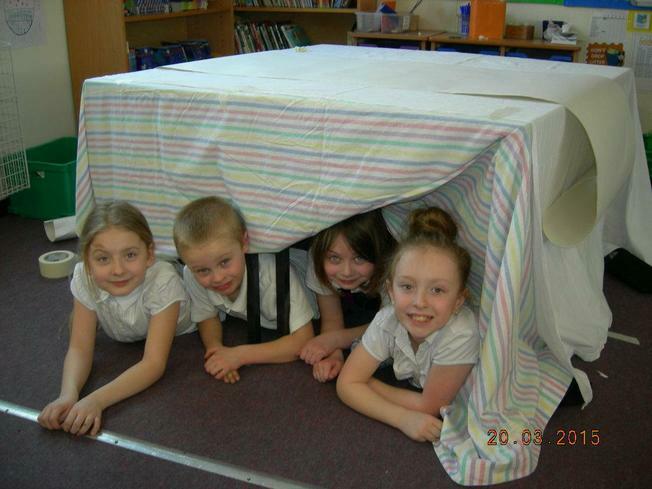 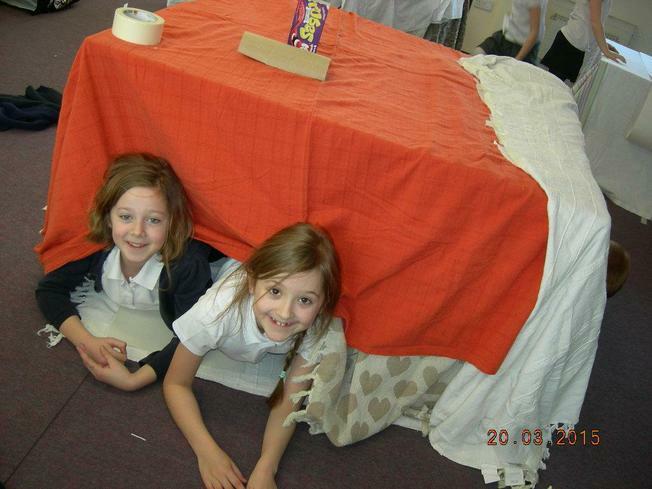 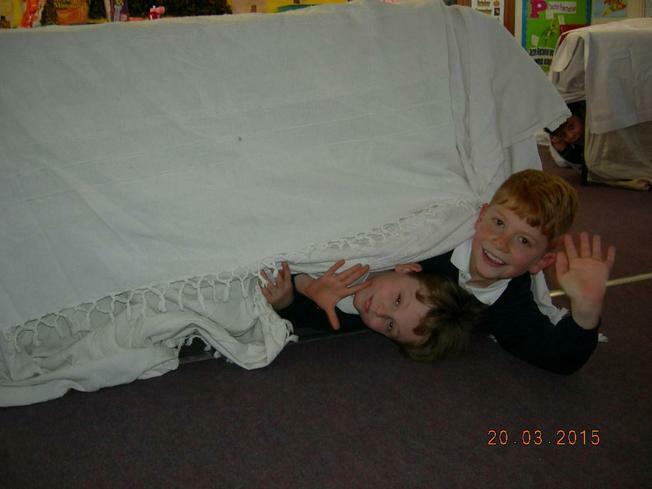 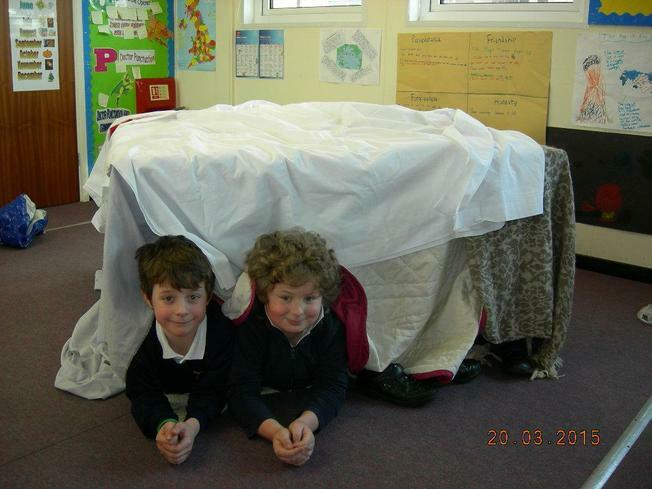 Our shelters got pelted with 'lava bombs', tremors and an ash cloud, but they stood firm! 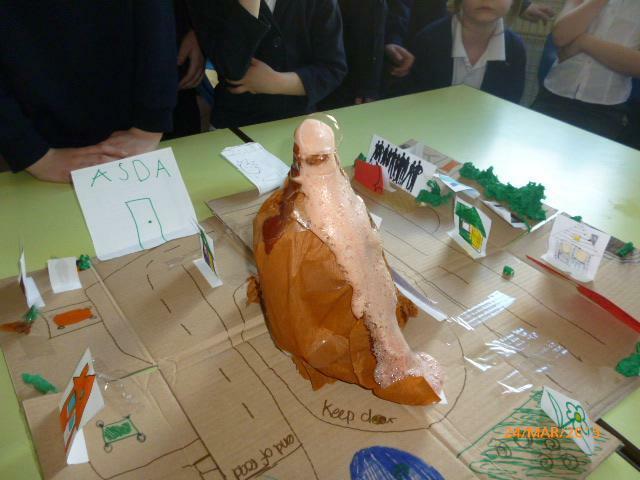 We then made our own volcanoes and made them erupt using the bicarbonate of soda and vinegar reaction. 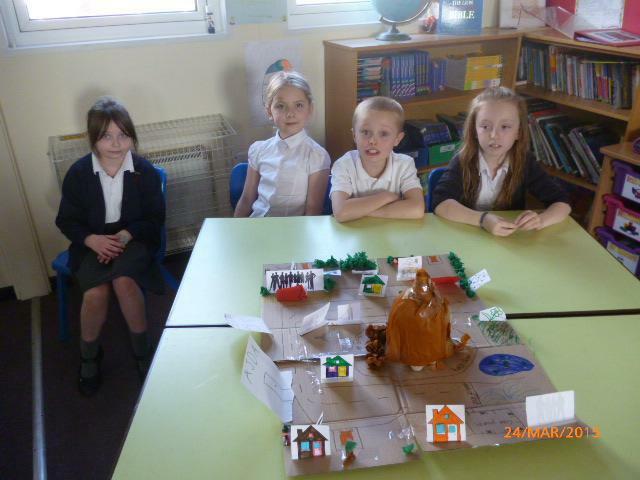 The villages below were largely unaffected! 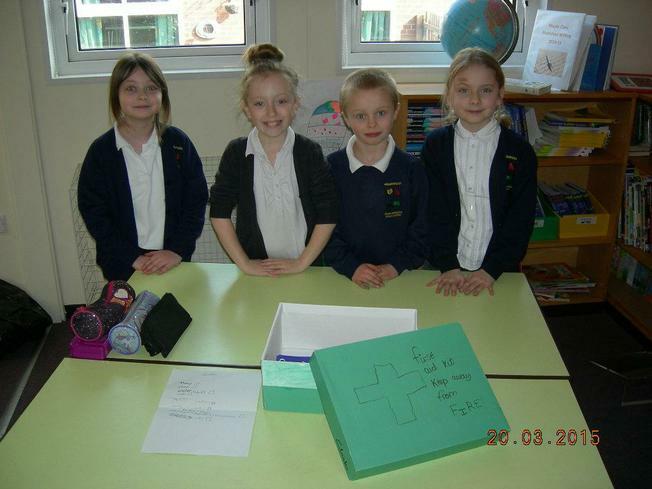 We have a reply from Westminster! 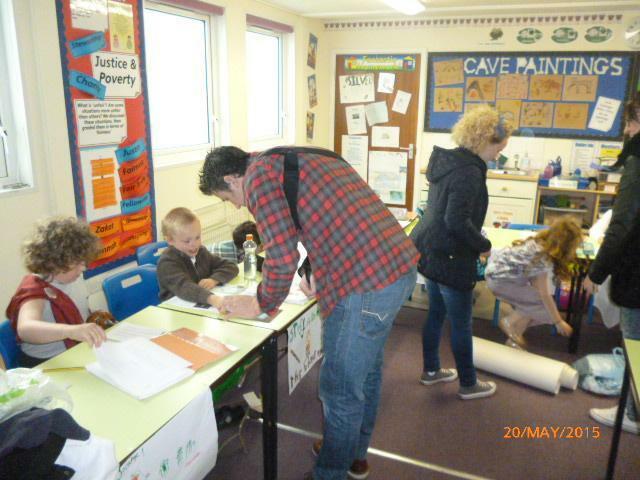 Following our trip to Snibston, we wrote letters to the MP for the Coalville area, persuading him to re-think the proposed closure of the museum. 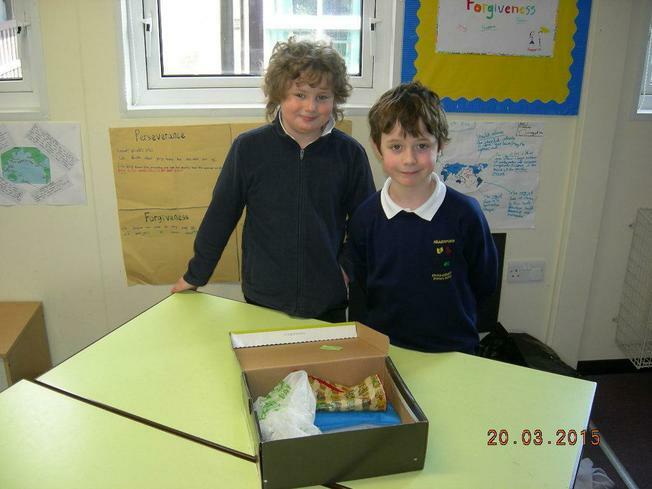 We posted them to The Houses of Parliament, Westminster, London! 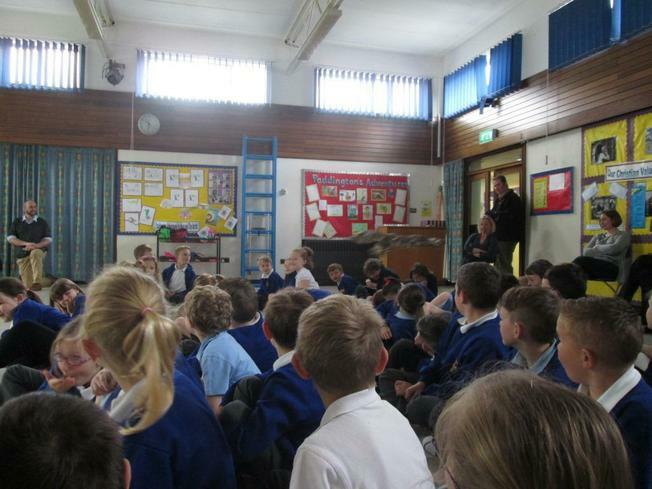 We await his considered response and are continuing to listen to PM's Questions on Wednesdays, in case we get a mention! 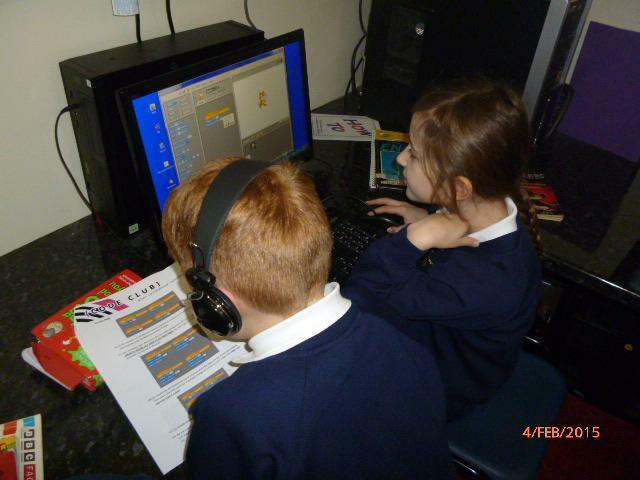 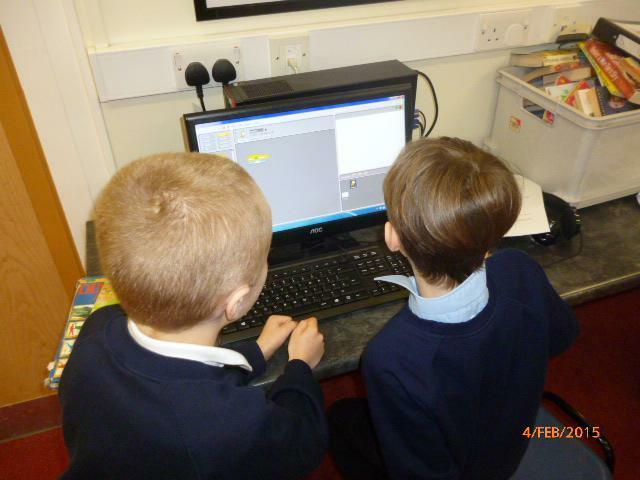 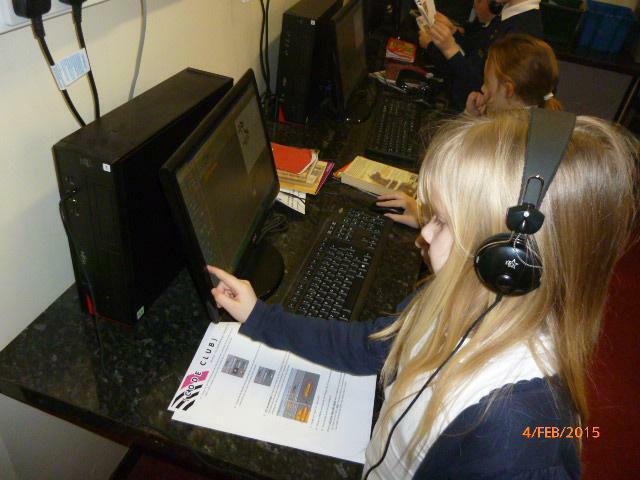 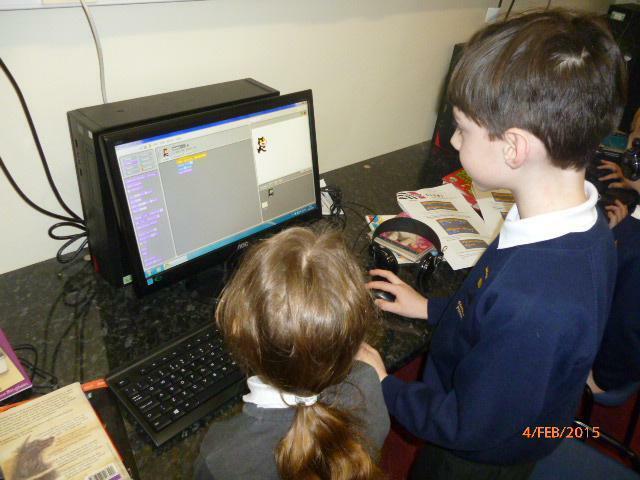 We have been learning how to "code" (become computer programmers!) 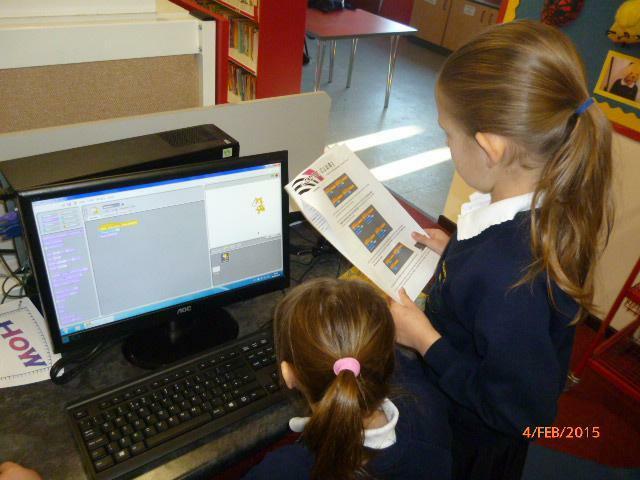 using 'Scratch', a really simple program that you can use to create your own games and other programs. 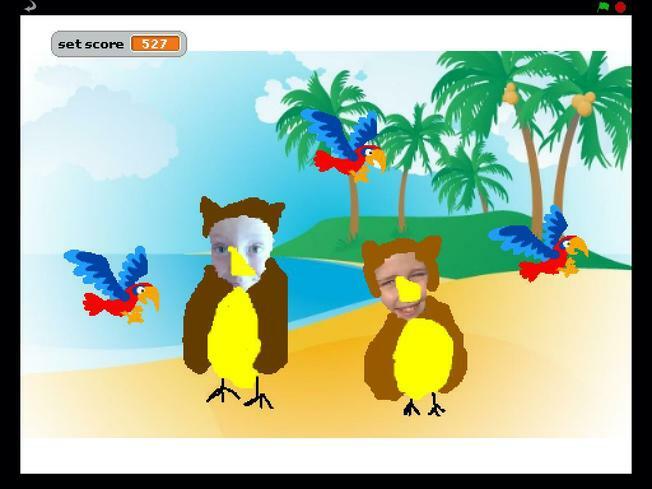 It is free and available to download for anybody, so you can use it at home, too!